3D is the current trend and people love to watch a variety of 3D movies and play 3D games. Animation movies and games are today available in 3D avatar to make us feel the real world around us when watching such movies. And, in the classroom, 3D has been making interest of students by involving them into the real world putting a better impact on their learning skills. Especially science classes are becoming more interesting than ever due to 3D projectors. However, when we talk about 3D projectors then the very first factor that comes to the mind is the cost, as 3D projectors are often costly due to features they come with. 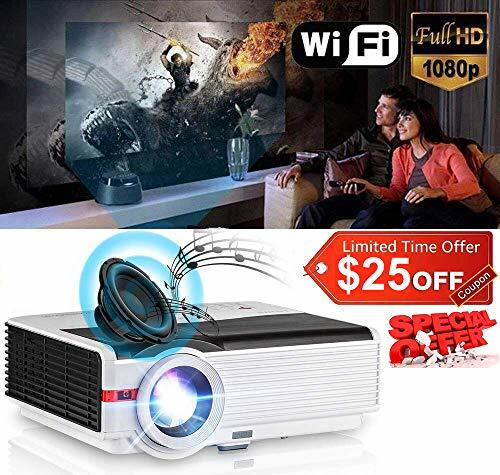 However, there are many best cheap 3D projectors that are packed with good features like full HD resolution, high contrast ratio, portable design, 3000 to 5000 lumen, etc. Brands like Epson, Optoma, Sony, ViewSonic, etc. have the best cheap 3D projectors in the market with these handy features making it easier for you to grab a great 3D projector for real-life fun. Go through the big collection, compare the features, and pick the best one within your budget from various brands available. 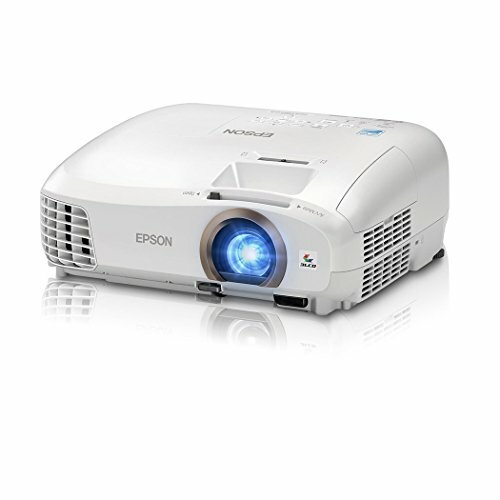 3D projectors have become an easy buy with the advent of cheaper 3D projectors. 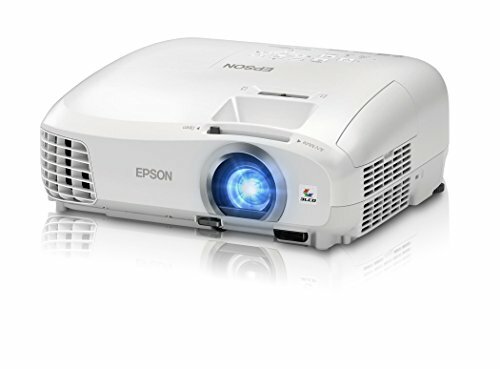 Various brands have introduced their affordable projectors equipped with either 3D picture or 3D compatible picture. Remember, there is the difference between the two. Above, we have listed the best 3D projectors in the market; here’s a little more about them to help you find your perfect piece of entertainment. Relatively, the most economical option among the 3D ones is the PJD5155 by ViewSonic which offers a great picture quality as well as connectivity abundance. It can be connected to various devices like AppleTV, Amazon FireTV, DVD players, Blu-ray players, Google Chromecast and more via VGA, RS-232, HDMI, and mini-USB. The DLP picture quality is quite above average and is bright enough with 3300 lumens and 20000:1 Dynamic Contrast ratio. The projector also supports vertical Keystone correction, Color mode etc. with top mounted controls. Notably, it is pretty expected to find Keystone correction in all the projectors on this list. 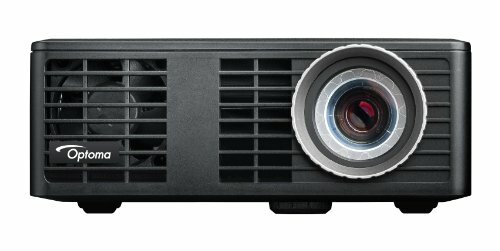 Another DLP projector with comparable performance among the top five is Optoma HD142X with 3000 Lumens of Brightness indicating its fairly visible picture even in low-lit environments. Also, the 23000:1 Contrast Ratio here means that you shouldn’t worry about movies with dark sequences. Display Mode adjustment has been included among the offered functions here and the sRGB color technology imitates the color quality of REC.709 by up to 99%. A unique projector on this list is the iCodis CB-400 mini projector, which is quite mini in terms of size. But don’t yet assume its stature because it is as good as a most super-sized projector with 3000 ANSI for not so bright environments and 10000:1 Contrast ratio to make it even better to distinguish between blacks and whites. It works wirelessly and the picture it offers is 3D and 1080p. Compatible with Android, it makes even easier to connect with most the devices out there. So, if you haven’t experienced 3D gaming whilst on an outdoor adventure, it’s time you get this projector. 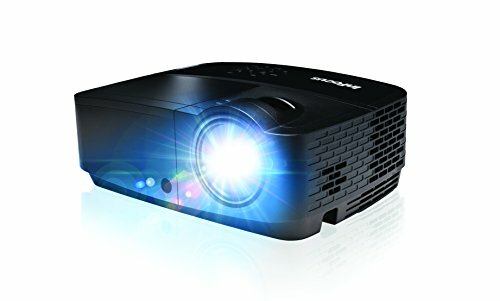 Now the most premium 3D projectors, JVC LX-WX50 and BenQ TH670 could be the perfect choice for you if you are willing to spend a little more buck. And while the BenQ TH670 used 3LCD projection which is sharp and rich in colors, the JVC LX-WX50 uses DLP, which is far more reliable, endurant and infuses life-like colors into the picture. In terms of brightness, JVC is a clear winner with 5000ANSI Lumens compared to BenQ’s 3000. But when it’s about resolution, BenQ offers Full HD whereas JVC’s offers 1280 x 800. Both support lens shift and keystone correction. Empowered with USB, HDMI, VGA, RS-232, Monitor Out and 12V Trigger, the two projectors are capable of connecting with just about any device that has been made compatible with projectors.